The following is a guest post from one of my favorite bloggers, Mark at My Own Advisor. If you’d like to guest post on the Dividend Ninja, be sure to check out our Guest Posting Guidelines. I’ll give you some guidance to starting your DRIPping journey with company transfer agents, and some help for you to get that first stock share. Am I still speaking a foreign language to you? Don’t worry folks, it will all become clear. Getting started with DRIPs and SPPs provides you with an overview of full DRIPs with SPPs as they apply to Canadian dividend-paying stocks. You can read parts 1 and 3 here on the Dividend Ninja, and Parts 2 and 4 on my blog at My Own Advisor. Hank Coleman also wrote a recent guest post for the Ninja on DRIPs, where he outlined his Five Reasons I Love Investing With DRIPs. I’ve heard about dividend reinvestment plans (DRIPs) – what are they? A dividend reinvestment plan (DRIP) allows an investor to automatically reinvest his or her dividends, sometimes at a reduced price, without commission fees. It’s a beautiful thing really. When the stock shares you own pay enough dividends to buy one whole stock share, you can ask your discount broker to reinvest the dividends paid to buy more stock shares instead of getting the cash. This process is usually a phone call away to your discount broker. The money automatically gets reinvested to buy more shares when dividends are paid until you say ‘”stop”. What I have described above is a synthetic DRIP associated with eligible dividend-paying corporations. Not that this dividend reinvestment process is “not real” rather there’s more to DRIPs than just those offered by discount brokers. When people talk about DRIPs, especially the die-hard dividend investors, they’re really talking about full DRIPs (dividend reinvestment plans with share purchase plans or SPPs for short). I’ll tell you why they love full DRIPs so much. What makes full DRIPs different than synthetic DRIPs? The power of full dividend reinvestment plans (that includes share purchase plans) lies with the fact you can start this process with very little money – you don’t need to own tons of stock shares that pay enough dividends to reinvest whole shares. In some cases, you can start with one stock share! In many cases, full DRIPs with company transfer agents also permit investors to make additional cash contributions to their plans. This is the share purchase plan I was talking about. Investors can buy additional shares in the company and in most cases, at no commission. You simply write a cheque and mail it in! Your payment is used to buy more shares, even fractions of shares, at the cost of a stamp. The company transfer agents do all the work; you just need to write the cheque. The compounding power of full DRIPs comes with SPPs. These share purchase plans allow you to buy more shares, in small amounts over time, at your own pace, with fractional shares reinvested. With some full DRIPs, depending on the company and what it wants to offer investors in the plan (more on that later), you can also take advantage of stock purchase discounts; ranging from 0% to 5%. You don’t have to apply for these discounts, they are applied automatically. Think of it this way, your favorite stocks are always on sale. Again, the company transfer agents do all the work. It doesn’t need to be in the thousands of dollars. It doesn’t even have to be in the hundreds of dollars. In most cases, you can start with $25 or $50 depending upon what the full DRIP with SPP company plan says. You can also send this cheque whenever you want, even skip a month or a quarter if you wanted to. Pretty cool eh? Full DRIPs can provide dollar-cost averaging. Many great stocks offer full DRIPs with SPPs. You need to keep track of your adjusted cost base but capital gains only occur when you sell a stock. Full DRIPs can help take the emotions out of investing. You can “turn off” your DRIP whenever you want. You can’t control the price or timing of the dividend reinvestment purchase, the company transfer agent is in control of transactions. In a full DRIP you are not using dividend income to be strategic; buying more shares when the stock price could be lower. Setting up a full DRIP can be some work. Just being honest here. To set up a full DRIP, there are always costs in getting that first share, from someone or somewhere. You need some accounting skills to keep track of your adjusted cost base; especially when you sell your stocks. Some full DRIPs with SPPs have minimum purchase requirements; some are $100 or more. There are some notification delays (i.e., about a week) from the transfer agents regarding dividend investment transactions; transactions are not real-time. The transfer agent can sell shares for you, but you won’t have any say over the time and price you get, and you may have to pay a small fee. Hank Coleman wrote a superb guest post for me on DRIPs (Dividend Reinvestment Plans), in Five Reasons I Love Investing with DRIPs. After this post, I became really intrigued by the process of DRIPs, and the ability to contribute small amounts of capital per month and reinvest partial dividends. As well, readers were asking questions on the process. I knew my good friend Mark at My Own Advisor, another Canadian investor had been DRIPping for years. I asked Mark if he wanted to write me a guest post on how to set up a DRIP for Canadians, from start to finish. In Part-1, Mark defined what Synthetic DRIPs, Full DRIPs, and SPPs are, as well as the disadvantages and advantages of enrolling into these plans. How can I get started with full DRIPs? In Part-2, Mark continues with his series and explains to readers how to get enrolled with Full DRIPs. Mark also explains to readers, that although companies may offer Full DRIPs or SPPs, it doesn’t necessarily make a good investment. Investors should do their due diligence and research, as they would with any other purchase. I’m not against option 1 or 2 above but I started my own foray into DRIPping a few years ago with option -3, through my own brokerage account. I felt it was safer (rightly or wrongly) because I was in control of all the transactions but more importantly I already had a discount brokerage account. Let’s follow, step-by-step the process I used. Step #1 – From my previous post, research the stock you are buying!! TD Waterhouse, BMO InvestorLine, CIBC Investor’s Edge, RBC Direct Investing or Scotiabank’s iTRADE are all excellent candidates for that. I would suggest any one of these guys since you could get that first stock share yourself, by placing a trade online. Take your time, do your homework and get an online broker that is known for its good customer service and one you feel comfortable dealing with. Ask people, get opinions from them; read reviews and recommendations online. If you’ve chosen one of the big five banks for your discount brokerage account as I did, find out how to put some money into it. I suggest putting at least a few hundred bucks in the account initially, if not closer to $1,000. Why? Many big-bank discount brokerages charge you a fee if you don’t have a certain threshold of assets with them, let alone a certain threshold of money in this discount brokerage account itself. I recall most big-bank brokerages want you to have about $10,000 in assets in this account before any fees are waived. CIBC Investor’s Edge charges something like $60 per year in fees if you don’t keep a balance of $10,000 or more; same with RBC Direct Investing. I’d call them to be sure of their fee structure. I also recall some discount brokerage accounts like Scotia’s iTRADE might charge you inactivity fees if you don’t keep a certain balance. All this to say, please find out what you’re opening. Read the fine print. Shop around. It’s your money right!? In my case, years ago, I had over $10,000 invested already with one of these big banks, largely in mutual funds, so I just moved this account into a new discount brokerage account. I was fortunate to be over this threshold at my discount broker a few years ago, so I avoided the fees. How many shares should you buy? This depends on how much you can afford to spend really. Assuming you have some money in your brokerage account to avoid those account fees I mentioned, you have some investing knowledge and you’re ready for direct stock ownership (lots of assumptions I know), most full DRIPs only need 1 share for starters. Using Bank of Montreal again as my example (pic below), you’ll see only 1 share is required for the folks at Computershare to get you going. I’d suggest before you make any transactions with your online discount broker, contact the friendly people at Computershare or Canadian Stock Transfer Company to confirm minimum purchase requirements. They’re there to help you. So you’ve made the buy and now you own at least one if not a few shares of the company you want to DRIP in your brokerage account. So far, so good! Now, wait for the transaction to settle. That usually takes 2-5 business days. After this time period has passed, based on the number of shares required to start your full DRIP, you need to request your discount broker to issue you the certificate. This certificate will be sent to you via postal mail. In our example, since Computershare wants 1 share of Bank of Montreal stock to start the DRIP, order 1 share from your discount broker in “certificated form”. You’ll probably have to call your discount broker to make this request. I remember I had to. Ensure your discount broker prints the share certificate in the same name you want to register your share with the transfer agent. It just keeps things simple. Ensure the broker sends the share certificate to the correct address. You don’t want this certificate going somewhere else!? Know that you’ll need to pay money for the share to be made in “certificated form”. Big-bank discount brokers usually charge a fee of about $50 plus taxes or HST. Some online discount brokers, so I’ve heard, charge much more. Expect the certificate to take 2 or 3 weeks to arrive in the mail. Whenever you get this share certificate, be careful with it. Don’t use this certificate as a placemat or treat it like an older newspaper. It’s worth money! What you have done is take the stock the seller owned or you owned in your discount brokerage account, from its “street form” to full ownership under your own name. So, when you get the share in “certificated form” ensure your name and address is accurate on it! DRIP (Dividend Reinvestment Plan) and SPP (Share Purchase Plan) plans are an ideal way for investors to buy shares of their favorite companies, with small amounts of initial capital. If you’re wondering why you should invest with DRIPs and SPPs in the first place, then be sure to read this superb guest post by Hank Coleman, Five Reasons I Love Investing with DRIPs, which inspired this series. 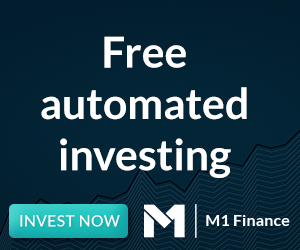 Mark is a 30-something DIY investor who is passionate about indexing and dividend investing, using this two-pronged approach as he marches towards financial freedom. Over the last year, Mark’s articles have caught the attention of both The Globe and Mail and The Toronto Star. You can follow Mark on his wealth building journey via his blog at My Own Advisor and on Twitter. $50 to get one certificate,if i want to drip 30 stocks, does that mean i have to pay 1500 bucks fee to get start? sounds so pricy. Hey beaver no it doesn’t work that way LOL. You only need to buy your first share – you can buy one share or ten shares to begin with. You then order your share certificate, a one-time $50 cost. Once you have your share(s) you then register it with the Transfer Agent (i.e. computershare) and sign up for the DRIP (dividend reinvestment plan) and the SPP (Share Purchase Plan). Mark will cover enroling in the SPP and DRIP plans, and then registering the share certificate in Part-4. One you are enrolled in SPP and DRIP you can then add shares as you want to at no additional cost, and also reinvest partial dividends! So the share certificate is only a one-time cost. If you want to get DRIP 30 different companies than I believe you would pay $50 dollars each for the each company to be registered in your name. To avoid this fee for each company, try to buy a share of each directly without a broker. Now beaver, if you wanted to DRIP 30 different stocks, well, then yes that would cost you money, your $1500 actually. The website is very interesting and helpful for people, which have the wish for financial independence! I have a website in Germany with the articles over stocks with monthly payments. I think its fine to learn together. If I choose option #1, after paying the share price + $10 fee charged by investors, any other fee? does this option avoid the $50 fee charged by brokerage? If buy your first share certificate from someone you know, or from a share-board, then you only need to pay the $10 gratuity (that’s the usual); instead of the $50 brokerage certificate fee. It’s obviously a cheaper way to go, but you have to make sure the seller on the share-board has a good reputation, before you buy. Going through your brokerage is more expensive, but safer. There are no additional fees, unless the company specifies. You need to view the company DRIP and SPP plan on the Transfer Agent website (like computershare) to verify. But in the long run, the fees may be quite nominal. After contacting my discount broker (TD Waterhouse) they told me they dont ofter certificates in paper form. Is there another way to acquire that first share through my broker. Marco, I do not believe you were given correct information, as paper stock certifiactes are available at $50. You simply phone and request that x no. of shares stock abc is made in certificate form, and they will mail the certificate to you. It’s important to understand the two different type of DRIPs. There is a “synthetic” DRIP through discount brokers, such as TD Waterhouse and Questrade etc. You have to have enough dividend income to reinvest at least one full share, you can’t do partial shares. A “full” DRIP is done through ComputerShare directly. You can invest in partial shares through their DRIP and SPP programs. The series was just pointing out that Mark, obtained his share from TDW, then used that share to enrol in the DRIP program with Computershare. No you cannot do a “full” DRIP in a TFSA or RRSP. You need to have the DRIP program through ComputerShare to do a “full” DRIP. If I hold a few hundred shares in a company and want to enroll in a DRIP, what is the process for ordering the shares in certified form? Won’t I need to convert all of the shares into certified form (not just one)? Will the discount brokerage charge more for this or will my holdings all be reflected on one certificate? Is the one share that is frequently referred merely to establish membership in the DRIP and enable practical additional purchases should the company offer a SPP? If you have enough dividend income to DRIP one full share, then your cheapest option is to keep your stock with your discount broker and DRIP it with them. That is called a “Synthetic DRIP”. You will only be able to DRIP full shares. That is correct, you only need one share to enrol in both the DRIP and SPP with a transfer agent such as Computershare.